We are a multidisciplinary team! The office has 70 employees, we often run several missions at the same time and our jobs are constantly changing. Our only wish is to share all the joy and happiness of our South and make you feel it belongs to you! 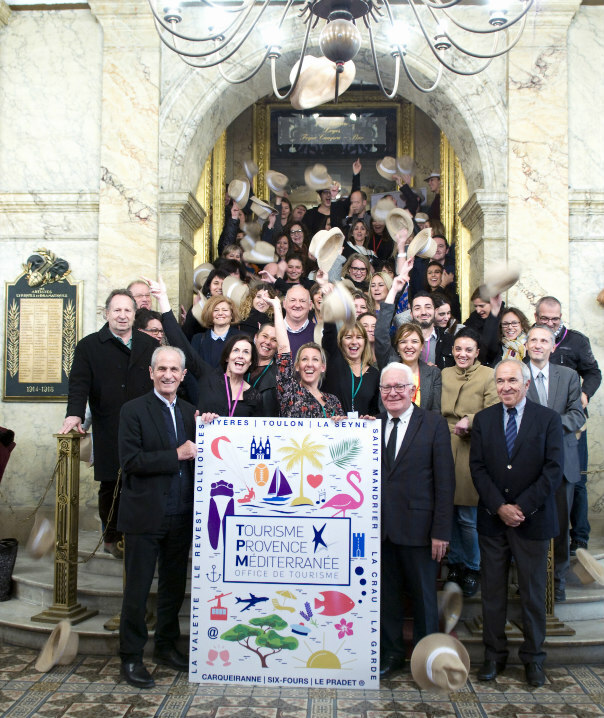 The Provence Mediterranean Intercommunal Tourist Office started on January 1st 2017. It was created from the merger of 11 local tourist offices, in application of the Notre Act. The Toulon Provence Méditerranée metropolitan area covers an area of 36,654 hectares, with 200 km of coastline (including the Hyères islands) and 437,460 inhabitants. Carqueiranne, La Crau, La Garde, Hyères, Ollioules, Le Pradet, Le Revest-les-Eaux, Saint-Mandrier-sur-Mer, Six-Fours-les-Plages, La Seyne-sur-Mer, Toulon, La Valette-du-Var. Since its creation in 2002, Toulon Provence Méditerranée exercises a number of jurisdictions which were transferred from the member communes. On January 1st 2017, three new jurisdictions were transferred by the communes: refuse collection, and the promotion of tourism, including the creation of tourist offices. The Métropole also gained control of the Port Authority of its area.. The Toulon Provence Méditerranée Métropole thus joined the group of 22 French métropoles, becoming the 14th métropole in France in population terms.